As presented at the APATS conference this year there is a global concern regarding the decay of manual flight skills on today’s highly automated flight decks and how this affects flight safety. Of particular note was the observation that this decay was, mostly, independent of flying experience, and that steps should be taken at initial and recurrent pilot training to establish and maintain these skills. Airlines need pilots who are Jet experienced and ready for type rating and line training, the reality is that many pilots graduate from flight school without sufficient Jet experience. This often becomes apparent during line training and causes training delays and added costs. APATS 2013 brought an interesting set of presentations. In this series, we will summarize the most notable presentations from the perspective of the state of aviation training in Asia. In the first installment, we review Capt. (ret.) John Bent’s (ICAO) presentation concerning the imminent pilot shortage: APATS 2013 Bangkok: The imminent Pilot shortage – Capt. (ret) John Bent – ICAO Capt. (ret) John Bent, gave a presentation on the imminent pilot shortages, especially in Asia. Although Capt. Bent clearly stated that projections are only projections and can be thwarted by unexpected events, his conclusions were enough to sound ‘a gentle wake-up call’. New A320 video: Demonstrating hydraulic green pump failure procedure on the Airbus A320 flight simulator. Is motion in flight simulators effective in pilot training? Is motion in flight simulators effective in pilot training? Full motion flight simulators (FFS) are much more expensive than fixed base flight simulators (FBS). Many smaller airlines and many flight training organizations (FTO’s) do not have the means to invest in a Full Flight Simulator. The MPS A320 Simulator has obtained EASA FTD Level 1 approval (European Aviation Safety Agency), having previously gained FNPTII/MCC certification in May. 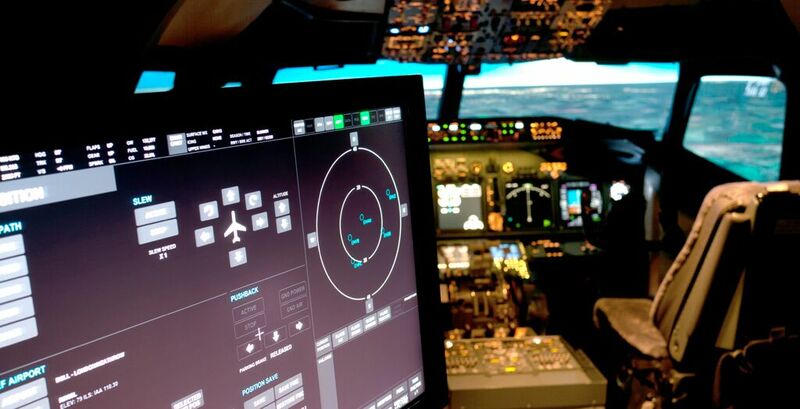 EASA is responsible for certifying all types of flight training devices in Europe. Peter John Davison authored a document describing the evolution of motion in flight simulators. Our aim is to assist our customers in setting up and maintaining cost efficient operations whilst maintaining and improving quality. We advise on the best equipment and training courses tailored to customer requirements. 38-44 D'Aguilar Street, Central, H.K. Aviation Focus © 2019 All rights reserved.